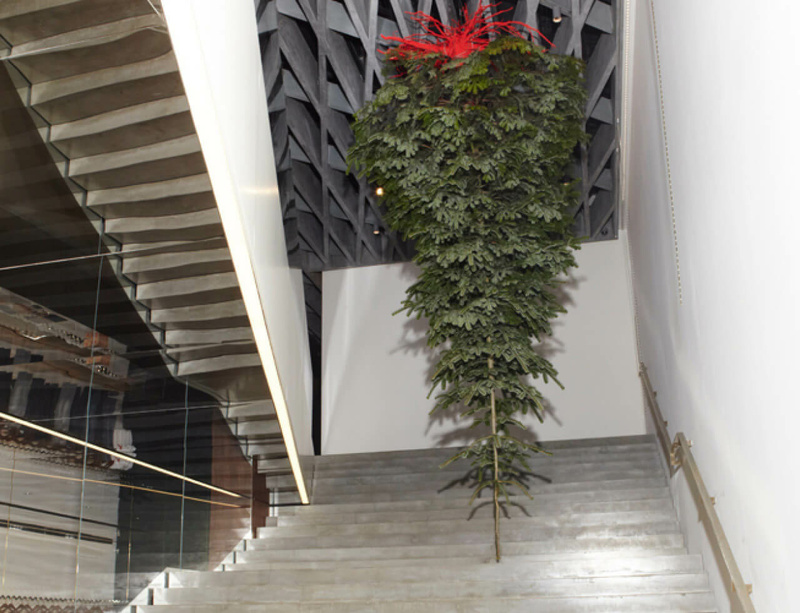 In collaboration with Victoria Beckham, Shirazeh Houshiary has created a temporary installation in the stairwell of 36 Dover Street for December 2014. Houshiary was inspired to work with the architecture of the Victoria Beckham store. It was her intention to instigate a dialogue between the natural materials at her disposal and the industrial finishes and design of the store, using colour to further highlight the contrast and interplay between these disparate elements.